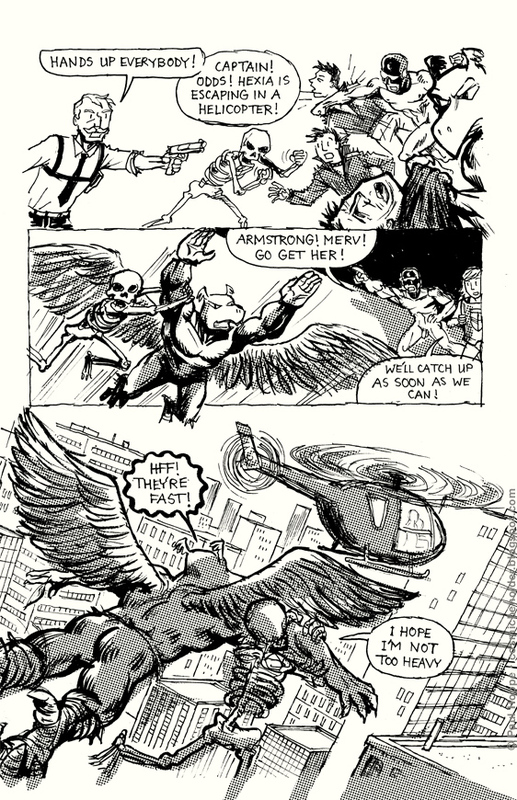 Chaos and slapstick ensue in the helicopter that Hexia tries to escape with. Also, dear pilot, this is no way to treat a lady! Tales To Behold 6, Page 14: Jung-La! Jung-La, the Fierce Female Fury! As the BEHOLDER will be traveling into another dimension, updates in the next 5 weeks will be done by a robotic stand-in. But the BEHOLDER himself will check in from time to time, so please do leave your esteemed comments, just allow for extra time for your favorite cosmic entity to get back to you. Excelsior! Tales To Behold 6, Page 12: Wup! Wup! Wup! 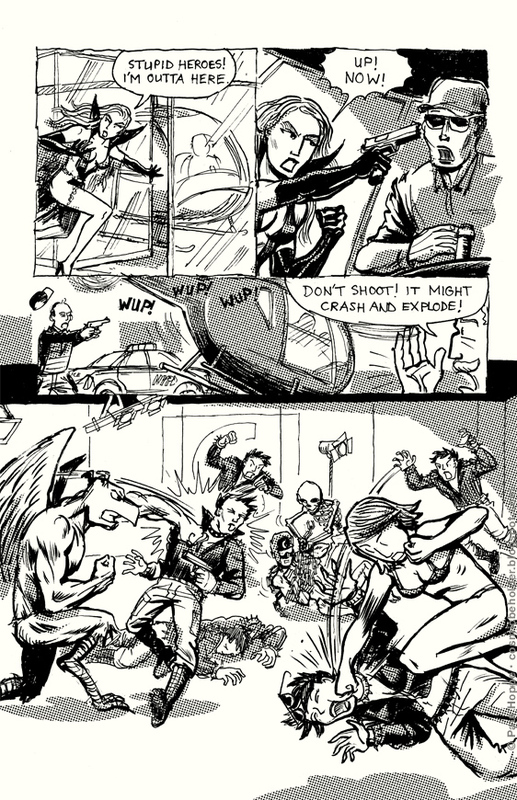 Double the action and excitement: Hexia is trying to escape while our heroes are battling her henchmen. Genius Scientist Prof Madison and Earth’s Most Powerful Hero, Centennia! Click on their names to see some memorable appearances of them in my comics. Both can be found online here on THE BEHOLDER, and in the printed series Tales To Behold from BirdCageBottom Books! Hexia unleashes all her mystical powers but is no match for a wooden stool. Star-Reporter Amanda Allen in her first super heroic role! 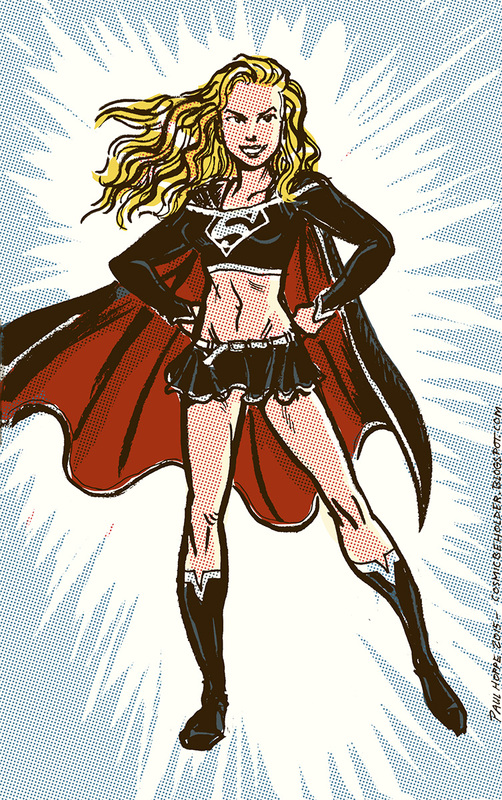 As seen in the 2000s when they re-introduced Supergirl into DC Comics. After sneaking around for a bit, The Odds are forced to go on the attack!